Juniper Salve This unique formula of Juniper, Birch and a touch of Lavender , warms the body slow and steady . 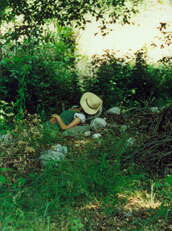 Increasing blood flow to the area carrying oxygen to nourish and purify. 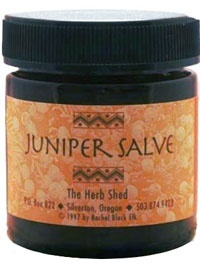 Juniper salve pulls cold wet dampness out of the chest and lungs like the old mustard packs grandma used to do. Excellent for sore muscles, aches of the cold and tired leg snydrome. Ingredients: Grapeseed oil, Juniper extraction, bee's wax, essential oils of Birch and Lavender.